As Artistic Director of Windmill Theatre, South Australia’s leading performing arts Company for young people, Rosemary Myers has every right to be excited. 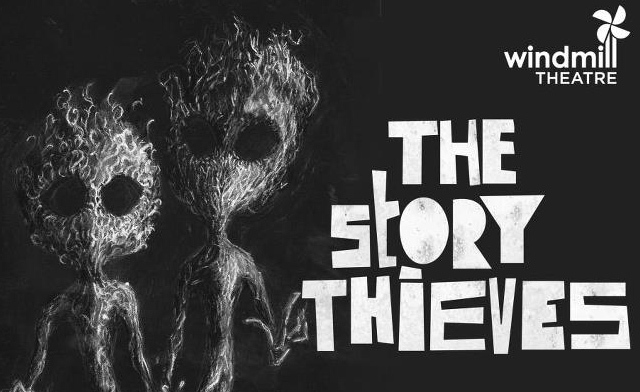 Last month saw the launch of their latest work, The Story Thieves, and the enthusiasm is contagious. A highly immersive storytelling experience using headphones (for four individuals at a time) the work is a result of the longstanding relationship Windmill has with the Anangu community in South Australia’s APY lands. For visitors eight years and over, this promises to be a delightful fairytale installation that has all the ingredients of first-rate adventure. Having had the students involvement from start to finish has ensured that this will become one of the favourite storytelling installations. “The aesthetic of the work is really inspired by the landscape and we got taken to a number of favourite spots and that included the bat cave where all the kids would hang out,” says Myers. “We wanted to make sure that they had a ball being part of this project, and, whether it was in the prop-making, animation, set, or even voice-overs, they all were very important to how The Story Thieves turned out. The intensive 20 minute experience is coupled with extensive audio instructions and required a format where more instructions, if necessary, could be included. Deliberately avoiding a linear narrative, this six metre high work offers a chance to escape into the wonderful world of the unknown, a chance for children to engage in sensory exploration through story. With the recent spate of new works created for young people, increasingly in collaboration with Indigenous youth, The Story Thievescomes at an appropriate time. As more arts companies develop youth specific work and engage with young people from across a range of communities the calibre of Australia’s interactive theatre works for young people is on the rise. Windmill are certainly playing a leading role in contributing to these exhilarating new forms of performance engagement. I wish I knew about this website sooner. It might have saved me lots of time and grief. There is a chock filled with information here. Thanks.